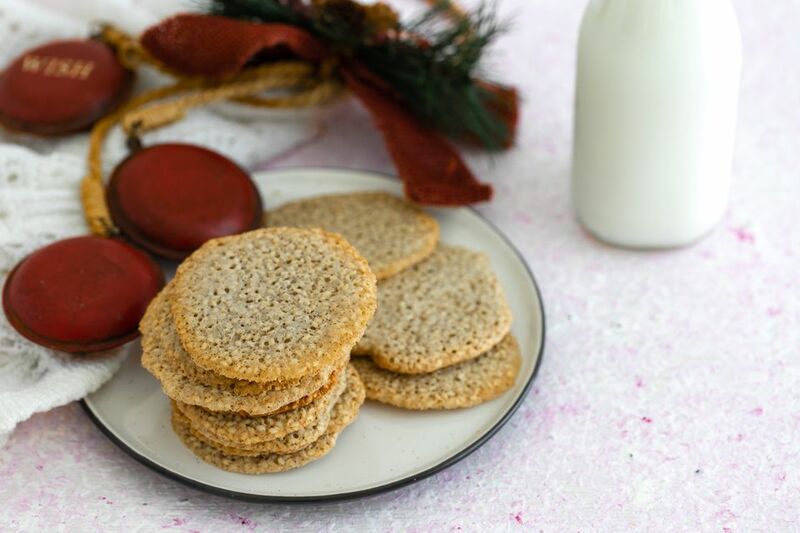 Sweet and crisp, gluten-free sesame cookies are not only delicious; they're an unusual gluten-free cookie recipe because very little flour and butter are called for in the recipe. Another plus: you don't have to add xanthan gum or guar gum when preparing this gluten-free cookie recipe. Be sure to toast the sesame seeds for this recipe. It'll help bring out the characteristic nutty flavor and aroma of the seeds. Sesame seeds are a nutritious addition to gluten-free diets. According to the USDA Standard Reference Database 24, sesame seeds are a good source of minerals, including calcium, magnesium, potassium, iron, copper, zinc and selenium and they're low in sodium. They are rich in fatty acids but contain no cholesterol. They are rich in vitamin B1 (thiamin) and fiber. Considering that many gluten-free flours and starches are highly refined and not enriched with any vitamins or minerals, adding sesame seeds to cookies adds a nutritional boost! Gather the ingredients and preheat oven to 350 F/176 C.
Line two large baking sheets with parchment paper or silicone baking pads, or lightly grease. Place softened butter, egg, and vanilla in a large mixing bowl. Whisk until thoroughly blended. Add the sugar and whisk to blend. In a separate small bowl, whisk together the buckwheat flour, tapioca starch, and toasted sesame seeds. Add the dry ingredients into wet ingredients. Stir until combined. Use a 1-teaspoon scoop or rounded teaspoon to drop cookie batter on baking sheets, at least two inches apart. The cookies will spread during baking. Bake for about 7 minutes or until the cookies are golden and flat. Let the cookies cool on the baking sheet for about 10 to 15 minutes before removing them with a spatula. If you try to remove them while they are still hot they will break apart. As they cool, they will easily pop off the baking sheets. This recipe was adapted to gluten-free diets from a recipe for "Charleston Benne Wafers," which appears in The Fannie Farmer Cookbook.